If you need support for TapRooT® contact us at 865-357-0080 or support@taproot.com. 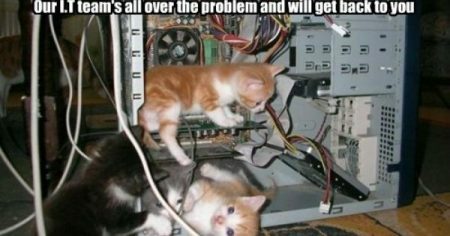 We are not cats, we will gladly help without touching the inside of your computer. Now, how do we clean up all this cat hair…. Technically Speaking is a weekly series that highlights various aspects of the TapRooT® VI software and occasionally includes a little Help Desk humor. Remember, just because it’s technical, doesn’t mean it has to be complicated!